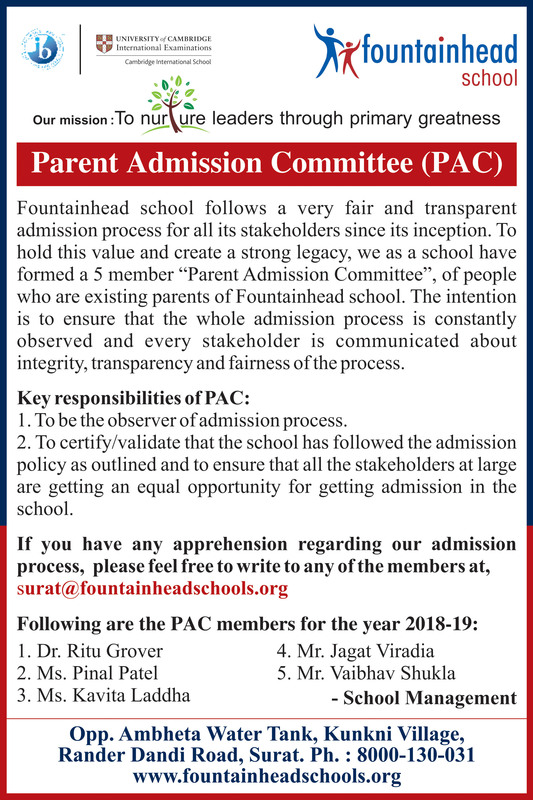 Fountainhead schools follow a very fair and transparent admission process. Fountainhead school has formed a 5 member ‘Parent Admission Committee’, of people who are existing parents of Fountainhead school. Please go through the below-mentioned note for more details about the Parent admission committee.